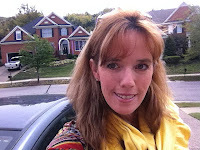 "Tragedies are bad but cover ups last generations"
When looking back at the data I will admit from the prospective of a carpool mom I "think" former President Bush should have apologized to those that lost their loved ones, the tragedy of the Iranian aircraft carrying civilians was an accident. Yes!!! America "accidentally" shot down an Iranian aircraft that had "civilians" on board. I even debated this with my grandfather while we were sitting by the fire in his 50's era ranch home in Pebble Beach on Strawberry Hill Road. In the 80's & early 90's my grandfather would play mind games with me that usually involved "feisty" dialogue and he liked to play "devils advocate" and any topic was open for a debate. 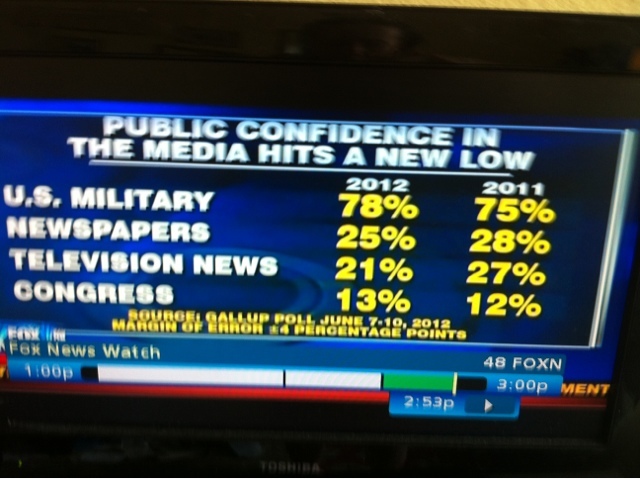 the years from endless conversations that led my education of how America dominated, patriotism & pride. Our nation became the worlds super power because we're a "war driven" society. America's economy was "war driven" America during the Cold Was was tough on communism, fearless in a fight and loyal to our allies. Sharyn Bovat pictures at the Monterey Peninsula Country Club with her grandparents. George H. Bush was in a Post Cold War mindset. The crash happened the day before the 4th of July. It was an "election year" and he had the opportunity to achieve the position that he had trained for his "entire life" a B rated "movie actor" had taken the title from him in 1980 and damn-it he was gonna get what he deserved. The media "played along" for MANY reasons. The summer of 1988 was a BIG News summer. An olympics hosted by South Korea was going to happen. This was VERY important to America for diplomatic reasons. Many in the "mainstream media" figured out how by "keeping secrets from the public they could profit"
During one conversation by the fire with my grandfather that after Watergate a "shifting" of power happened. Business (banks) became dominant shareholders of the companies that owned the major papers/network. He said "never again can we trust what we read in the paper." Then he made some comment about TV newscasters having some credibility - at least those that took "ownership" of their broadcast content. He really like Peter Jennings. 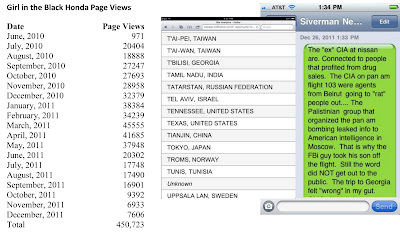 Anyway I'm writing this because so many Americans do NOT know about the accident that since it was the precursor to the the "revenge" the bombing of Pan Am flight 103 people need to know. If not they will never understand "how" the cover up happened. 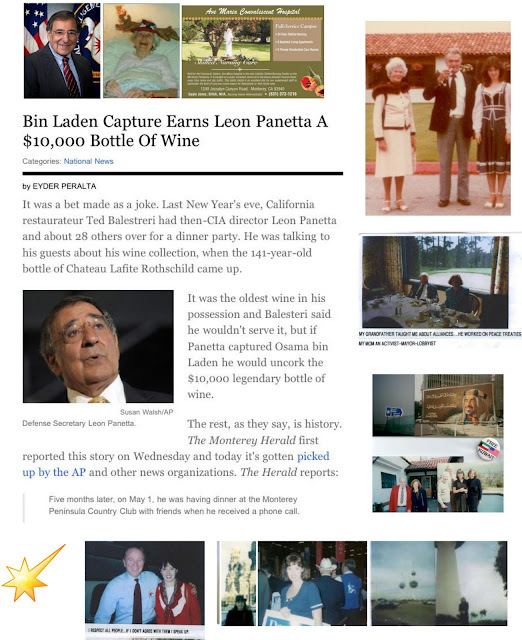 How Libya was identified as the "sole" conspirator" for the loss of 270 American and British civilians. 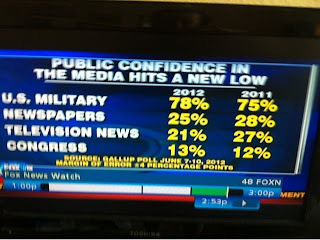 People tell me I need to "clearly" state the facts, they say that "what" the mainstream media has fed them for OVER a generation has "never" made sense. A man who contacted me a while back told me his dad in his 60's is/was an executive for a "major airline" he told me his dad harbors LOTS of stress from things he "can't" talk about. Their family has been destroyed by the secrecy. He did mention that his dad has started to journal his experiences. I was told that when "my story" makes it to the mainstream so does his dads. The 1988 Summer Olympics.... in Seoul, South Korea. In the Seoul Games, 160 nations were represented by a total of 8391 athletes: 6197 men and 2194 women. 263 events were held and 27,221 volunteers helped to prepare the Olympics. 11,331 media (4978 written press and 6353 broadcasters) showed the Games all over the world. North Korea, still officially at war with South Korea, and its allies, Albania, Cuba, Madagascar and Seychelles boycotted the games. 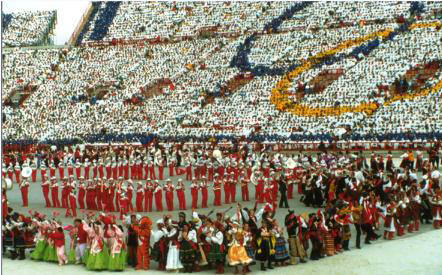 For differing reasons, Ethiopia, Nicaragua, and Albania (who declared an Olympic-record fourth consecutive boycott) did not participate in the Games. However, the much larger boycotts seen in the previous three Summer Olympics were avoided, resulting in the largest ever number of participating nations to that date. 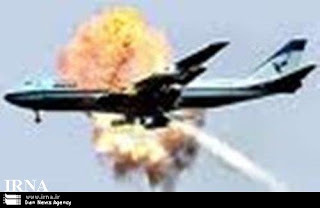 Iran Air Flight 655 was a civilian jet airliner shot down by U.S. missiles on 3 July 1988 as it flew over the Strait of Hormuz at the end of the Iran–Iraq War. The aircraft, an Airbus A300B2-203 operated by Iran Air, was flying from Bandar Abbas, Iran to Dubai, United Arab Emirates. While flying in Iranian airspace over Iran's territorial waters in the Persian Gulf on its usual flight path, it was destroyed by the United States Navy guided missile cruiser USS Vincennes (CG-49). All 290 onboard including 66 children and 16 crew perished. The incident is ranked ninth among the deadliest disasters in aviation history. It was the highest death toll of any aviation incident in the Indian Ocean and the highest death toll of any incident involving an Airbus A300 anywhere in the world. TheVincennes had entered Iranian territorial waters after one of its helicopters drew warning fire from Iranian speedboats operating within Iranian territorial limits. The Flight 655 incident was a year after the 17 March 1987, Iraqi Air Force attack on the U.S. Navy guided-missile frigate USS Stark (FFG-31). U.S. naval forces had exchanged gunfire with Iranian gunboats in the fall of 1987. The U.S. Navy guided-missile frigate USS Samuel B. Roberts (FFG-58) had struck an Iranian sea mine in April 1988. Two months before the incident the US had also engaged in Operation Praying Mantis resulting in the sinking of the Iranian frigate Sahand. Tensions were therefore high in the Strait of Hormuz. 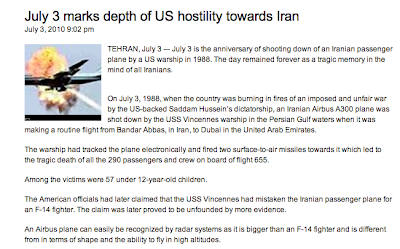 According to the United States Government, the crew identified the Iranian Airbus A300 as an attacking F-14 Tomcat fighter (a plane made in the United Statesand operated at that time by only two forces worldwide, the United States Navy and the Islamic Republic of Iran Air Force). The Iranian government maintains that Vincennes negligently shot down the civilian aircraft. The event generated a great deal of controversy and criticism of the United States. Some analysts have blamed U.S. military commanders and the captain of Vincennes for reckless and aggressive behavior in a tense and dangerous environment. In 1996, the United States and Iran reached "an agreement in full and final settlement of all disputes, differences, claims, counterclaims" relating to the incident at the International Court of Justice. 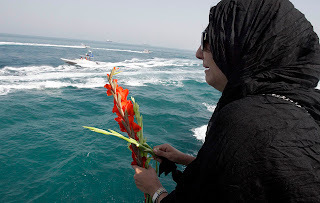 As part of the settlement, the United States agreed to pay US$61.8 million, an average of $213,103.45 per passenger, in compensation to the families of the Iranian victims. However, the United States has never admitted responsibility, nor apologized to Iran. According to the U.S. government, the Vincennes mistakenly identified the Iranian airliner as an attacking military fighter. The officers misidentified the flight profile being flown by the Airbus A300B2 as being similar to that of an F-14A Tomcat during an attack run; however, the ship's own Aegis combat system recorded the flight plan of the Iranian airliner as ascending (not descending as in an attack run) at the time of the incident. The commercial flight had originated at Bandar Abbas, which served dual roles as a base for Iranian F-14 operations and as a hub for commercial, civilian flights. According to the same reports, the Vincennes tried unsuccessfully to contact the approaching aircraft, seven times on the military emergency frequency and three times on the civilian emergency frequency, but never on air traffic control frequencies. However, this civilian aircraft was not equipped to pick up military frequencies while the messages on the civilian emergency channel could have been directed at any aircraft. More confusion arose as the hailed speed was the ground speed, while the pilot's instruments displayed airspeed, which happened to be 50-knot (93 km/h) different. At 10:24 am, with the civilian jet 11 nautical miles (20 km) away, the Vincennes fired two SM-2MR surface-to-air missiles, both of which hit Flight 655. After the attack, the Vincennes' crew realized that the plane had been a civilian airliner. 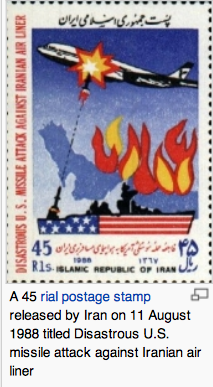 This version was finalized in a report by Admiral William Fogarty, entitled Formal Investigation into the Circumstances Surrounding the Downing of Iran Air Flight 655 on 3 July 1988. Only parts of this report have been released (part I in 1988 and part II in 1993). 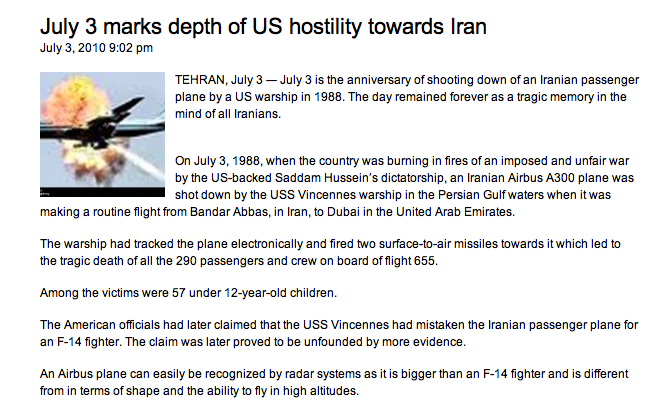 The Fogarty report stated, "The data from USS Vincennes tapes, information from USS Sides and reliable intelligence information, corroborate the fact that [Iran Air Flight 655] was on a normal commercial air flight plan profile, in the assigned airway, squawking Mode III 6760, on a continuous ascent in altitude from take-off at Bandar Abbas to shoot-down." When questioned in a 2000 BBC documentary, the U.S. government stated in a written answer that they believed the incident may have been caused by a simultaneous psychological condition amongst the 18 bridge crew of the Vincennes called 'scenario fulfillment', which is said to occur when persons are under pressure. In such a situation, the men will carry out a training scenario, believing it to be reality while ignoring sensory information that contradicts the scenario. In the case of this incident, the scenario was an attack by a lone military aircraft. The ship's crew did not efficiently consult commercial airliner schedules, due to confusion over which time zone the schedules referred to. The schedules flight times used Bandar Abbas airport time while the Vincennes was on Bahrain time. The airliner's departure was 27 minutes later than scheduled. "The CIC was also very dark, and the few lights that it did have flickered every time the Vincennes fired at the speedboats. This was of special concern to Petty Officer Andrew Anderson, who first picked up Flight 655 on radar and thought that it might be a commercial aircraft. 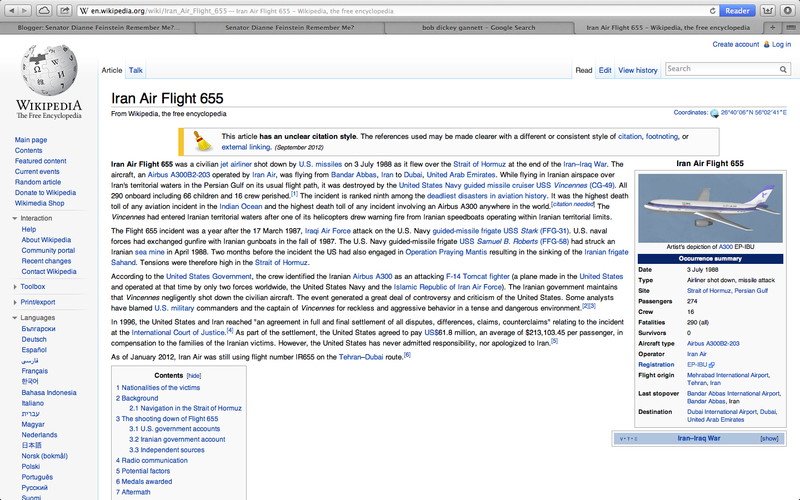 As he was searching in the Navy's listing of commercial flights, he apparently missed Flight 655 because it was so dark." An Iranian P-3 was in the area some time before the attack, thought to be flying a "classic targeting profile", and in some reports providing an explanation why no radar signals were detected from Iran Air Flight 655. Other reports state that the Airbus was immediately detected after takeoff by Vincennes's AN/SPY-1 radar at a range of 47 miles (76 km). The crew of the Vincennes Combat Information Center (CIC) confusingly reported the plane as ascending and descending at the same time (there were two "camps"). This seems to have happened because the Airbus' original Link 11 track, number 4474, had been replaced by the Sides track, number 4131, when the computer recognised them as one and the same. Shortly thereafter, track 4474 was re-assigned by the system to an American A-6, several hundred miles away, which was following a descending course at the time. Apparently not all the crew in the CIC realized the track number had been switched on them. The psychology and mindset after engaging in a battle with Iranian gunboats. There are claims that Vincennes was engaged in an operation using a decoy cargo ship to lure Iranian gunboats to a fight. However, those claims are denied by Fogarty in "Hearing Before The Investigation Subcommittee and The Defense Policy Panel of The Committee on Armed Services, House of Representatives, One Hundred Second Congress, Second Session, 21 July 1992". Also, the initial claims of Vincennes being called for help by a cargo ship attacked by Iranian gunboats have been ruled out. That leads to claims that the Iranian gunboats were provoked by helicopters inside Iranian waters and not the other way around. This might have contributed to the mistakes made. The actual reasons for the Vincennes' engagement with gunboats is not so clear to this date. The U.S. government issued notes of regret for the loss of innocent human life. The government never admitted wrongdoing, and did not accept responsibility nor submit an apology to the Iranian government. 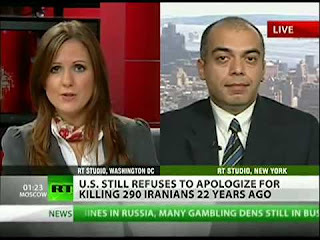 In February 1996, the United States agreed to pay Iran US$131.8 million in settlement to discontinue a case brought by Iran in 1989 against the U.S. in the International Court of Justice relating to this incident, together with other earlier claims before the Iran-United States Claims Tribunal. US$61.8 million of the claim was in compensation for the 248 Iranians killed in the shoot-down ($300,000 per wage-earning victim, $150,000 per non-wage-earner). In total 290 civilians on board (including 38 non-Iranians and 66 children) were killed. It was not disclosed how the remaining $70 million of the settlement was apportioned, though it appears a close approximation of the value of a used A300 jet at the time. Further compensation was paid for the 38 non-Iranian deaths. The payment of compensation was explicitly characterized by the US as being on an ex gratia basis, and the U.S. denied having any responsibility or liability for what happened. The incident overshadowed U.S.-Iran relations for many years. Following the explosion of Pan Am Flight 103 six months later, the British and American governments initially blamed the PFLP-GC, a Palestinian militant group backed by Syria, with assumptions of assistance from Iran in retaliation for Iran Air Flight 655. The cause of the crash was later determined to be a bomb associated with the Libyan intelligence service.